Join us Friday August 29th at 9AM in Santa Fe for a public hearing on newly proposed SNAP work requirements that will hurt New Mexico families. We will be joining with New Mexico Center on La w and Poverty, New Mexico Men of Color Initiative, and other ally organizations and community members to tell Governor Martinez and Human Services Department Secretary Sidonie Squier to protect SNAP benefits for all New Mexicans. Let’s tell the Governor that we can’t afford to cut snap benefits to vulnerable New Mexicans at a time when our economy is one of the worst in the country! • Every $1 of food assistance given through SNAP goes directly into local food and grocery stores, creating $1.70 to $1.80 in economic activity. • New Mexico could lose over $47 million funneled directly into our poorest counteis. • New Mexico is one of the most food insecure states in the nation – 1 in 5 New Mexicans and 1 in 3 children struggle to afford a nutritionally adequate diet. • 20.8% of New Mexicans live below the poverty line, including 29.2% of children. 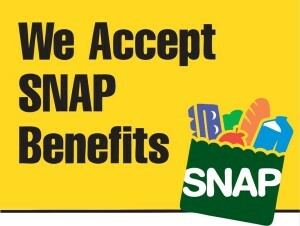 86% of this population participates in the SNAP program.